Anthologies or basal readers present reading skills in a sequential manner. Basal readers and anthologies are designed to provide reading instruction by presenting reading skills in a sequential manner. These reading programs are often accompanied by a sample script for the teacher, workbooks for students and assessments. All students read and complete the same tasks within the same time frame, moving on to more complex tasks as a group. 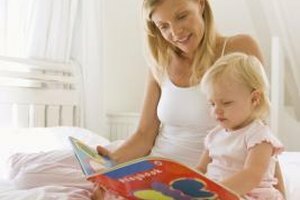 Skills are introduced sequentially beginning with pre-reading and emergent reading strategies, and they gradually increase in difficulty as the child progresses through the anthology. Because skills build upon prior skills, all students are exposed to the skills needed to become fluent readers. Accompanying workbooks allow students to demonstrate the skills necessary for reading success. Struggling students often benefit from whole class activities with more advanced peers. All reading material is contained in an anthology, which is less likely to get lost or misplaced than smaller books. Struggling students may find it difficult to keep up with the class and may be forced to move on to higher levels before they are ready. Texts may sound stilted, due to focus on specific skills, and may not appeal to children. Advanced students are unable to move on to new levels and must wait until the majority of the class is ready to progress to the next level. Typically, basal readers reward the average student, while penalizing both the struggling and the advanced student. Planned lessons, scripts, workbooks and assessment save time for teachers and keep everything in one place. 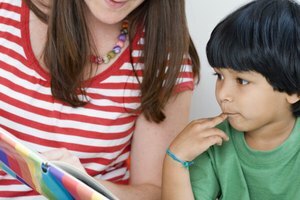 Progression is linear and assessments are clear and provide an accurate record of the child's gains in reading. All skills are taught at a predetermined time, eliminating the risk of inadvertently missing vital skills. Less record keeping, due to all students reading the same "book," frees up the teacher for other important tasks. Teachers are bound to a predetermined text and lose the opportunity to adapt reading material to the needs and interests of the class. Modifying work for either advanced or struggling readers is difficult with anthologies because the teacher is bound to teaching to the average student. The loss of freedom to teach using trade books may hinder enthusiasm for reading instruction, and knowing that the needs of all students are not being met may contribute to teacher frustration and job dissatisfaction. Richford, Nannette. "The Advantages & Disadvantages of a Basal/Anthology Approach." Synonym, https://classroom.synonym.com/advantages-disadvantages-basal-anthology-approach-12205842.html. Accessed 21 April 2019.